Nolan Gorman might still be a rookie as far as Minor League Baseball is concerned, but he's officially out of Rookie ball. The Cardinals promoted MLB.com's No. 100 overall prospect from Rookie-level Johnson City to Class A Peoria on Wednesday, just two months after he was selected with the 19th overall pick in the 2018 Draft. Gorman is the second prep first-rounder from the Class of 2018 to make the jump to a full-season affiliate, following in the footsteps of Marlins prospect Connor Scott. 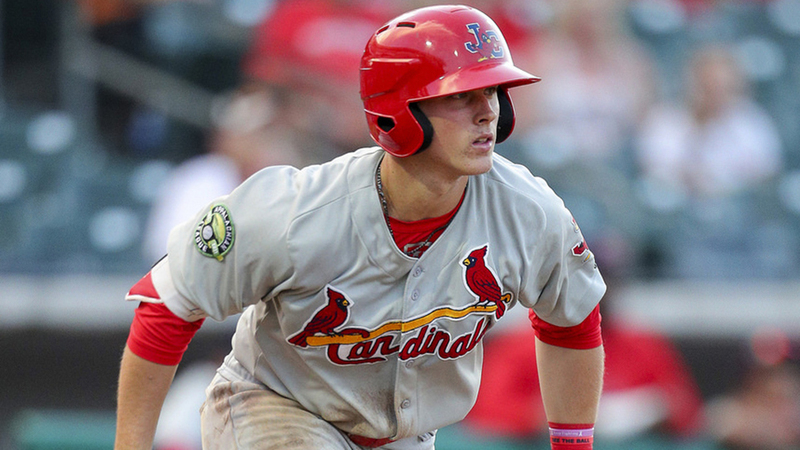 The 18-year-old third baseman earned his first career promotion after hitting .345/.440/.662 through 37 games with St. Louis' Appalachian League affiliate. The left-handed-hitting slugger was tied for the league lead with 22 extra-base hits and ranked second with 11 homers, third with a 1.102 OPS and fourth with a 180 wRC+. He was named the Appalachian League Player of the Week last week after going 13-for-22 (.522) with three homers, three doubles and eight RBIs over five games from July 31-Aug. 5. Gorman secured his place in the first round back in June by showing impressive power, both in his native Arizona and on the showcase circuit leading into his senior year. There are questions about whether he can stick at third base long term, but the Cardinals have played him exclusively at the hot corner so far. He could eventually move across the diamond to first base if he continues to demonstrate big-time power. As the No. 3 prospect in the system, Gorman becomes the high-ranked Cardinals prospect on the Peoria roster, joining No. 17 Luken Baker, No. 25 Johan Oviedo and No. 26 Alvaro Seijas. With a 27-15 record, the Chiefs are tied with Cedar Rapids for the lead in the Midwest League Western Division second-half standings, adding some intrigue to Gorman's addition to the roster.